When former Miami Dolphins Linebacker, Kim Bokamper looked to expand his successful sports-themed restaurant franchise to Collier County, he looked to David Corban Architect. For Bokampers, we renovated an existing 10,500 sf. 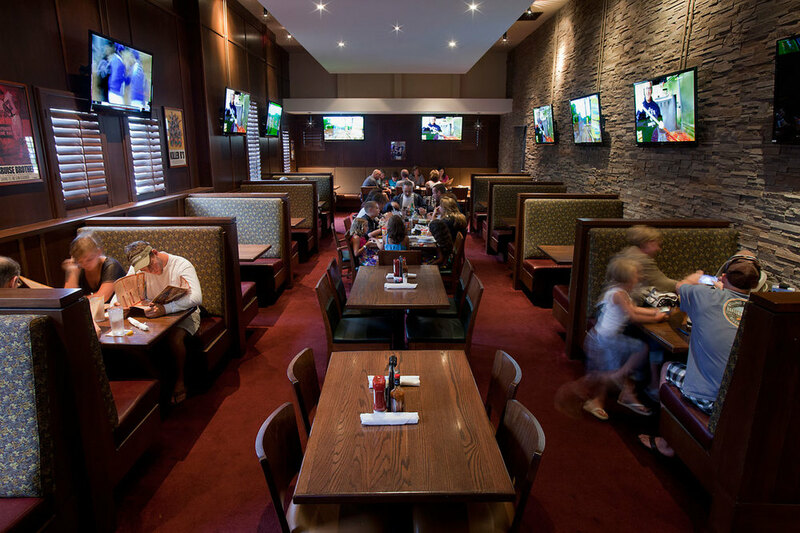 steak house restaurant space into a sports-themed grille with indoor and outdoor dining and two bars. Great importance was placed on the outdoor dining experience where we added a 55 seat full service bar with stand up and seated dining. We celebrated the Miami Dolphins and the career of Mr. Bokamper with a strong use of memorabilia and placed over 70 TV monitors throughout the space. We provided full architectural, interior and engineering services for the project. We worked closely with Collier County to get the permit approved in 20 days!